Did Mitt Romney make the economic sale at the Republican National Convention? Did he convince people who are living at the margin or unemployed and discouraged that he has the answers to the economy? Frankly, I don’t think so. I do not understand why he did not talk about his 20 percent across-the-board personal tax cut plan that would help the middle class enormously. He never mentioned it and he went into no detail on the business tax cut plan. This plan is terrific for competition and global investment. He talked about a jobs tour. I frankly have no idea what a “jobs tour” is. I do know that 23 million Americans need jobs. I don’t know that they need a president on a jobs tour to inspect them. It concerns me that in the economic zone, he didn’t make the sale to the independents, so-called Reagan Democrats, or to Clinton Democrats. I didn’t hear anything new. I didn’t hear anything specific, and it troubles me. I do think he helped himself enormously with his biographical narrative. He came off as a humble, grateful man. Again, on the economic front I don’t think he made the sale; I don’t think he convinced the independent voters and I don’t think he’s going in the right direction in tax policy. I think he needs to be more specific. It’s not about big business -- it’s really about small business. And guess what? Small businesses pay the personal tax rate — the LLCs and the S-corps. That is another reason why I don’t understand why he doesn’t talk about the 20 percent tax cut. It helps small businesses and it’s the opposite contrast to Obama, who wants to raise taxes on those people. I didn’t hear any contrast Thursday night, except a passage on success. The best line from an economic standpoint was “In America, we celebrate success, we don’t apologize for success." That is a great line, but I wish he had more contrast with President Obama. Sen. Marco Rubio’s introduction of Romney was one of the most brilliant speeches I have heard in a long time. Freedom was his key point. America is about freedom — economic freedom, political freedom, religious freedom, and faith. It was just utterly brilliant and the guy is an absolute Republican superstar. Republican vice-presidential candidate Paul Ryan gave a powerful speech Wednesday that repeatedly brought conventioneers at the Republican National Convention in Tampa to their feet. I am going to give him high marks for his speech’s delivery. Ryan, in typical fashion, seriously and analytically ripped apart the Obama Economy, what has been called Obamanomics. He ripped it to pieces, and it needed to be done. But most especially, he ripped apart Obamacare. Ryan also did his level best to defend the Republicans against the usual attacks on Medicare reform—that is, what the Democrats call “Mediscare”. However, I was disappointed that his economic growth solutions were somewhat muddled and unclear. 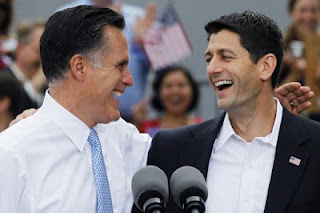 At one point in the speech, rather than speak about Mitt Romney’s own tax rate proposals, Ryan used the term “tax fairness,” a Democratic term frequently used by President Obama and other liberal Democrats. This was surprising to me. Ryan cited Jack Kemp and the Reagan tax reform (and I am, of course, part of that gang). But the reality is, Ryan never mentioned tax cuts during his speech. Not the 20 percent across-the-board supply-side reduction in marginal tax rates, nor the 25 percent corporate tax rate down from 35 percent. These pro-growth measures have been proposed by Mitt Romney, but it is a mystery to me why Ryan did not mention them. He dwelled on debt to an extreme point. I don’t think discussing debt connects with people who are unemployed or marginally employed. I think they want a good-paying job, and debt is almost an academic abstraction. When Republicans run on debt and deficits, they almost always lose. When Republicans run on growth, limited government, lower spending, lower tax rates, and de-regulation—they win. Ryan’s speech was confusing on the growth issue, and that was disappointing; I don’t want to be confused and the American people shouldn’t be confused. 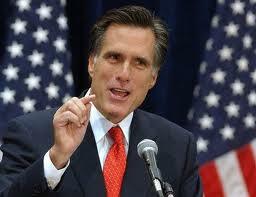 It will be left to Mitt Romney on Thursday night to clarify his own growth policies. I want growth, growth, growth. Wednesday night, I didn’t get growth, growth, growth; I heard debt, debt, debt. On last night’s Kudlow Report, Paul Ryan talked to me about pro-growth policies and the American idea. He defended his Medicare option as a bipartisan plan going back to the Clinton era. He talked supply-side tax reform, along with spending reduction, deregulation, energy, and sound money. Preventing the fiscal-cliff recession threat will be Romney-Ryan’s first action. While the fiscal-cliff tax hike still hangs like the recessionary sword of Damocles over the economy, the economic stats for the month of July do not show it. In fact, key data points suggest there is no double-dip recession. All in all, it’s still an anemic 2 percent economy -- the worst recovery in modern times dating back to 1947. But at least for the sake of the country, there is no recession in sight for now. The 163,000 jobs gain for July -- even with a lot of weakness inside the report -- was a move away from recession. Retail sales had dropped for three-straight months, which made a recession look perilously close. But the July number came back at 0.8 percent. And today’s industrial-production report also surprised on the upside, with a manufacturing gain of 0.5 percent. That sums to 1.7 percent annually over the last three months and 5 percent over the past year. Prior to these releases, the ISM reports hovered around 50, which does suggest ongoing weakness. But it’s not yet a true recession signal. Finally, the consumer price report for July shows zero inflation for the second straight month. The CPI is actually rising only 1.4 percent over the past year. Energy prices have fallen 22 percent annually over the past three months while food prices are up only 1.1 percent during that period. The Midwestern drought could drive up the food-price component, but it looks like it will be a manageable event -- not a catastrophe. Now, a roughly 2 percent economic growth rate is only half the growth we ought to be having. In fact, Mitt Romney’s economic plan targets 4 percent growth. And supply-side tax cuts, spending restraint, lighter regulation, and a stable dollar could surely revive the animal spirits to get us back to that 4 percent number. But that’s for the campaign trail. All I’m saying here is that the July economy does not show recession. For the sake of the country, that’s a good thing. But surely we can do better. Talk about apcryphal, here’s one of my better Kudlow forecasts regarding Paul Ryan as the conservative man of the year. This was originally printed in Human Events in December of 2011. When you think of Republican congressman Paul Ryan, terms like earnest, serious, and important come to mind. So does the term old-fashioned. Ryan comes from an old-fashioned place, the blue-collar town of Janesville, Wisconsin. He cherishes the old-fashioned values of a faithful family man. He even looks old-fashioned, with his white shirts and striped ties. And he uses old-fashioned argument skills, persuasively weaving big-picture themes with the numbers that back them up. And Ryan has old-fashioned goals, too, like saving America from fiscal bankruptcy, economic stagnation, and a European-style entitlement state. Ryan later amended his Medicare reform to keep the existing system as an option, and bolstered it with a menu of market-based private insurance plans to promote cost-cutting choice and competition. But he did so with the bipartisan support of Sen. Ron Wyden, a Democrat from Oregon. How did the White House react? It went rhetorically ballistic, although it couldn’t put together a serious response. No, Ryan’s reforms didn’t quite resonate in the White House. But they did force a serious debate about domestic policy and the economy throughout the country. With his comprehensive budget of deep spending cuts, entitlement reform, and tax simplification -- a plan that would strictly limit government and unleash growth at the same time -- Ryan became the most influential Republican of his younger generation. Quite likely, he became the most influential thinker in today’s GOP. For these reasons, Paul Ryan has been chosen as the Human Events Man of the Year. The Ryan “Path to Prosperity” budget passed the House this past spring. In effect, it became Republican policy. Unfortunately, things went downhill after that. In other words, Rep. Paul Ryan is offering a completely different vision than the one Obama outlined in his Osawatomie, Kansas, campaign speech in early December. Ryan wants “the right to rise,” not a third wave of liberal progressivism. He wants to stop Obama’s attempt to add to the New Deal/Great Society with the statist universal-health-care program called Obamacare and an effective nationalization of the energy and financial sectors. And he completely rejects Obama’s divisive, big-government, punish-wealth, tax-the-rich leftist populism. Drawing from the Declaration of Independence, Ryan believes that individual citizen power in a democracy comes from God and natural rights, not government. And he believes these natural rights flow directly to the people. It complements what Reagan always said: Government works for the people, the people don’t work for government. The congressman calls himself a second-generation supply-sider, flowing from his mentor Jack Kemp. He knows that growth incentives work, and that our tax system should reward success, not penalize it. Ryan frequently notes that Obama’s vision would raise federal tax rates toward 50 percent, which doesn’t even include increasing state and local tax burdens. Countering this, the Ryan roadmap features a modified flat tax, with two brackets and a 25 percent top rate. But Ryan also believes that under the threat of fiscal insolvency, supply-side tax cuts must be accompanied by entitlement reform, deep spending cuts, and an end to corporate welfare. Rounding out his policy proposals, the budget chief wants the Federal Reserve to move to a single mandate for price stability and a stable dollar. So, many have asked, why didn’t the intellectual and policy leader of the GOP run for president? His supporters continue this drumbeat, with many hoping for a deadlocked convention in August, and the emergence of an optimistic, pro-growth, center-right man with a clear vision to save the country. Well, here comes the old-fashioned Ryan, a man who’s interested in policy, not personal ambition. He also has to help raise his young family. He and his wife Janna have two boys aged seven and eight and a girl aged nine. He’s been teaching his nine-year-old Liza how to shoot a .243 light-caliber Remington 700 bolt-action hunting rifle. The weekend before Christmas, he took his crew to Medieval Times on the North Shore of Chicago, where they watched knights on horseback jousting with each other while eating a little junk food. Family is clearly more important right now than presidential ambition. So would he become OMB director in a Republican administration? “I don’t think about it,” he said. But for the 2012 election, Ryan has a political vision: Republicans must develop and communicate a clear policy agenda along the lines of his “Path to Prosperity.” Then, should they win, the GOP can use this agenda to govern effectively. “Reagan had this right,” Ryan told me. For the congressman from Wisconsin, it’s the American Idea. That’s Ryan’s vision. And the Republican party better take notice, because this election could be America’s last chance for a very long time.